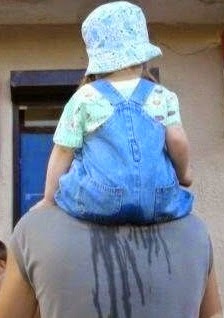 Well you had to know that it was about to happen sooner of later. So today while visiting my favourite beer store, I was introduced to yet another awesome beer: "Clown Shoes Blaecorn Unidragon: Russian Imperial Stout" from Mercury Brewing Co., in Ipswich, MA. Wow! Wow! Wow! This is definitely going to be worth an encore visit! I very well think that I may have found a new favourite; at the very least, this one's earned a place in my new top-five favourite beers list. Seriously, though, I'm starting to think it might be fun to create such a list. What an awesome beer this one turned out to be! 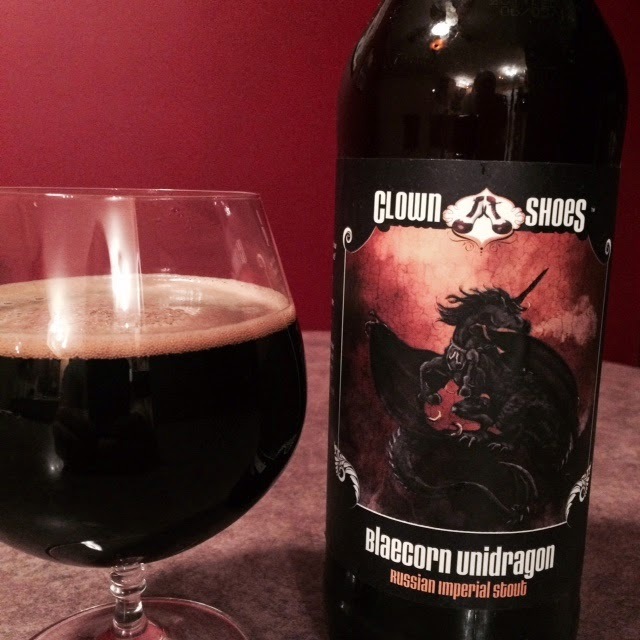 "Clown Shoes (what an awesome name) Blaecorn Unidragon Russian Imperial Stout" is an extra strong brew, boasting a 12.5% alc/vol. It is so dark that it's almost black in colour and I remember joking, "Should I drink it or seal the driveway with it?" That first sip of this amazing beer "Imbued with a monstrous amount of dark malt and aggressive hops" (according to the label), quickly answered that question; forget the driveway! So if you dare, check out http://www.clownshoesbeer.com and search for a vendor near you. You won't be sorry. One word of advice, though, after you crack this one open, you're probably best leaving the car in the garage; after only one beer, I was left with a good buzz. So until next time, fellow beer snobs, remember, life's too short to drink crappy beer. Cheers! Carolling: The Other Side of Christmas Past?